Posted on July 15, 2005. Arab Emirates, all places the rich like to hide. Eric Lee, Sales Director for Vertu Lee estimates the typical Vertu customer earns around 300,000 US dollars a year. 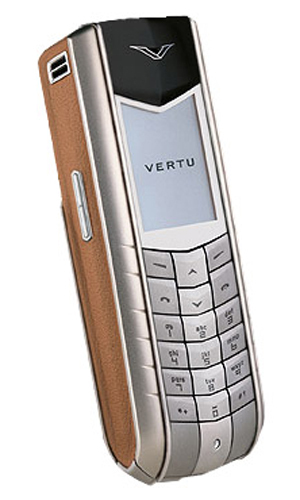 The top-level Vertu is platinum-cased Signature model that runs a mere Vertu a new luxury phone brand created by Nokia, has offices in London, Vertu has offices in Paris, New York, Singapore and Hong Kong. Vertu has a select set of dealers in 20 countries and territories, including Kuwait, Macau and the United $32,000, while yellow gold is only $18,500 and the leather ascent model is $4,700. You can be sure to see this in Hip Hop Culture, see HipHopDX.com for the History of Cell Phones in Hip Hop.